On the past two occasions traveling to Bogacs, we met with Gyuszi at the local gas station and we were escorted to his house. Tonight, knowing the way, we went directly to his house entering to find no one there except Gyuszi's mom, his wife and his daughter. The guys were on there way (thinking we were meeting at the gas station again). This gave us a few minutes to talk to the women. Gyuszi's wife (pictured above right) told me that she continued to read the Bible we had left with her as she had time. She told me how she learned that people had once lived for hundreds of years until God chose to restrict our days to 120 years. Robi and his wife arrived soon after. Robi's wife also shared that she continued to read the Word through the week. Pretty soon the room was filled with family members and friends and we began our study on Genesis 6 and the story of Noah and the Flood. Through facilitating the study through questions, it became clear that this was a new beginning for Noah and his family. Those in the room began to comment that just as Adam and Eve had a chance to obey God in the garden in faith, so Noah had an opportunity to obey God in faith to be saved. And soon, some in the room were saying how today, we have a chance to obey God by believing in Jesus Christ to be saved. Once again, there were passionate discussions and many questions. At times, I just sat back and listened as the group was split. Some were heatedly speaking against truth while others defended God's truth to the extent they understood. After we worked through the study on Noah we transitioned to discussing questions about faith in Jesus. One difficulty that many of them have is the painful reality of feeling helpless in poverty. They wonder why God couldn't just enter into their lives and help them. This gave me opportunity to talk about the terrible effects that sin has on all of us. This also gave me opportunity to talk about Jesus Christ, who had no place to lay his head. He was not rich. Although He was the Son of God, Jesus did not escape suffering in this world. Knowing my personal testimony, one person shouted, "Why couldn't we have everything like you had in the US...money and a job!" I told them that my story of being saved is not the common story for the rich. I told him how Jesus taught that it is most difficult for the rich to be saved (Luke 18:25) because in most cases they depend on all they have and have no sense of their need of God. I told them that one side of poverty is the suffering of being poor, but the other side is a greater capacity to cling to God and to be saved. To the rich who are not saved, they may benefit for a short time here, but they lose it all at death and the final judgment. For the poor who suffers for a short time here on earth, they have gained everything because they put their faith in Jesus. 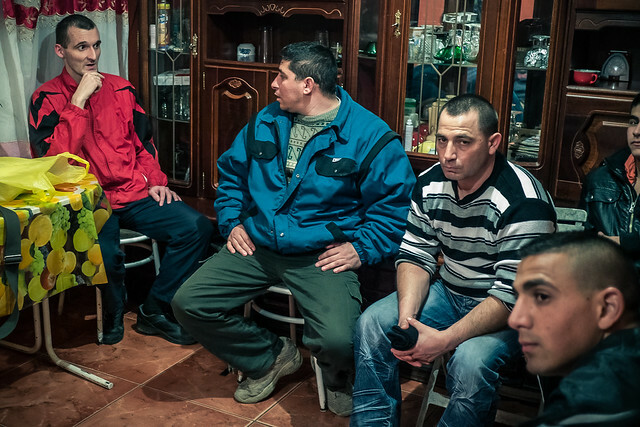 Above: One of the men named Józsi (striped shirt) who seems to be one of the eldest who attends has now invited us into his home. Józsi seems to be on the right track as far as understanding God's word and has good insights and questions. It looks like next week we'll meet at his house. Robi who usually is the most antagonistic (yet somehow always warm and friendly at the same time) was very quiet tonight. The majority of Robi's comments were good and in line with the Bible. He is a deep thinker and I believe he is taking seriously all that has been shared up until this point. Towards the end of the night he told me how different Christianity was. After I read John 3:16 to the group he said, "This is a God for the world, not some god for a particular group of people and their particular customs. This God is for the Americans, the Hungarians, the Gypsies, the Chinese…for everyone in the world." After being there for four hours, I announced, "We're leaving." I always get a kick out of the response of, "What? !, You can't leave yet!" Babi, was sitting opposite of me, so I walked over to her, kneeled down and prayed for her before we left. One of the men who was very resistant this night said, "If God were to show me He could heal… to do something that I could see with my own eyes, then I could believe. But He hasn't." I just listened as three or four others began shouting out at Him about personal experiences where children or friends were spared by God or recovered because of God's grace. Then he spitefully said, "Allen prayed for Vali, and she died." Once again, many in the room began defending me before I could say a word, but when I spoke, I simply made clear that God is fully capable of healing today, and God is the only one who makes the decision how long we live and when we die. It is not up to us and prayer is not a magical mantra that forces God to obey man. His decision is always the right decision. How can I, a sinner with limited understanding, look up at God who is perfect and has all knowledge and say to Him, "You did the wrong thing?" Do we really believe that in the courtroom of the universe we belong on the judgment seat while God belongs on the stand? It is my hope that these answers will help to sway this young father to reconsider Jesus Christ and turn his heart to repentance and faith in Him. Making my way to the door, Robi grabbed me again and pointed to his feet. He said, "Allen, it's like we just need to take this step and there are no barriers, we just need to step forward and believe." May God grant that they all take that step of faith in Jesus Christ as they come to know Him through His word. Above: Roger teaching the kids about household objects and which rooms we might find them in. Above: The advanced class in Rozsaszentmarton’s English Club on Friday. In our conversation time, students drew cards with random questions about life they would need to answer. Dezso drew a card that asked about the last time he was in an awkward situation. This gave Dezso opportunity to share about a time where he was convicted by God about not telling his boss the truth, then being prompted by God to call his boss and confess that he had lied. In the end after the awkward phone call, Dezso’s boss was so amazed at Dezso’s confession that he told Dezso that he was definitely the right person for the job. I was very thankful for Dezso’s testimony that gave these students an opportunity to hear about how God works in our lives and how we depend on His grace. Dezso is the pastor in the church plant in Rozsaszentmarton and we hope to share the hope of the Gospel with all of these students in Rozsaszentmarton. 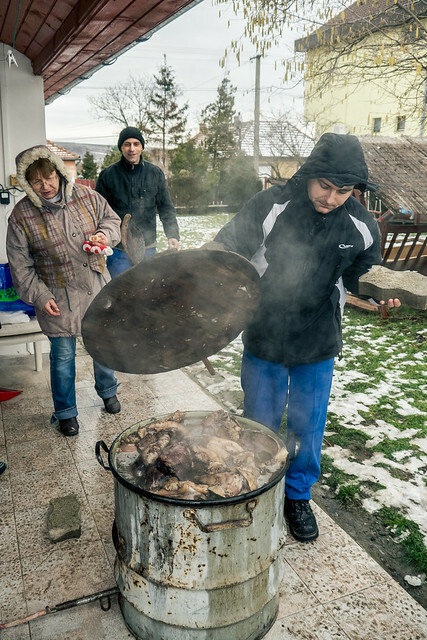 Above: Hungarian team member Tomi (in doorway) surrounded by his family as they gathered on Saturday for a pig roast. Tomi was saved out of a past of gambling, partying and alcoholism. He’s a man in love with Jesus. He takes every opportunity to share the Gospel with all his family and says that if God could save him (the ‘black sheep’ of the family) God can same them as well. Above: Don’t know if you really want to know what’s boiling in that pot. While his brothers were busy grinding up more meat, I joined Tomi in the kitchen with Bea (one of the wives that attended). As I listened to Tomi’s conversation with Bea, it seemed that she had made a recent decision to believe in Jesus, but commented that the Bible was too difficult to read and she instead read devotional material written by others every day. I had just been in training over the past few months on a way of passing on a simple technique of reading God’s word that helps new believers understand and apply what God is revealing to them. I asked Bea if she would like to do a study in the kitchen with me. We went through the process which basically is reading a passage, reciting it in your own words after reading it, asking what it teaches about God, what it teaches about man, and then asking how I can apply what I’ve learned to my life starting today. Bea was able to understand what Jesus was teaching, and understand how to apply it to life! 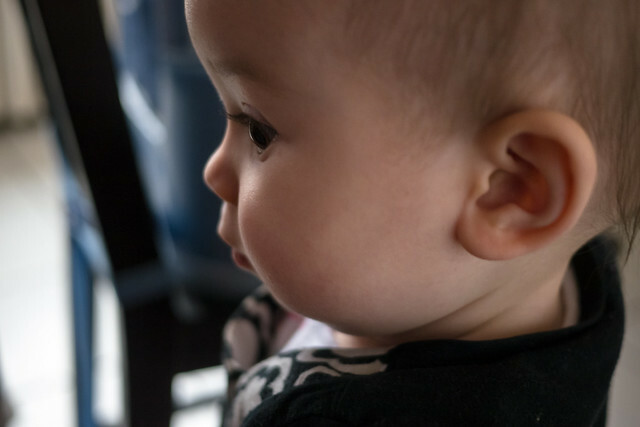 Hopefully this brief study with her has broken down the barriers to her thinking that the Bible was not approachable and can be used by her even this week. Thank all of you who continue to pray for the open door in Bogács and our other requests. We praise God that Gabriella’s boyfriend Józsi did come to our small group on Thursday! • Please continue to pray for the family in Bogács that has invited us to study God’s word together. Pray especially for Józsi as it seems as if we will be meeting at his house for the first time this week (instead of Gyuszi’s house). Pray that God’s word would be central to our discussion and pray that God would give them understanding draw them to Jesus Christ in our time together. • Please pray for Sharon as she visits a young Hungarian friend this Thursday who is fighting cancer. Pray that she would bring encouragement and the love of Christ to this friend who is suffering. 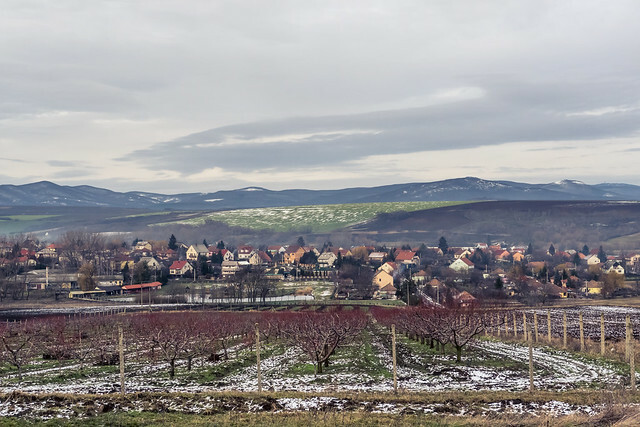 • Please continue to pray for opportunities in Rozsaszentmarton to share the Gospel. Pray for relationships that we are developing in our English club to lead to Bible studies in the future. 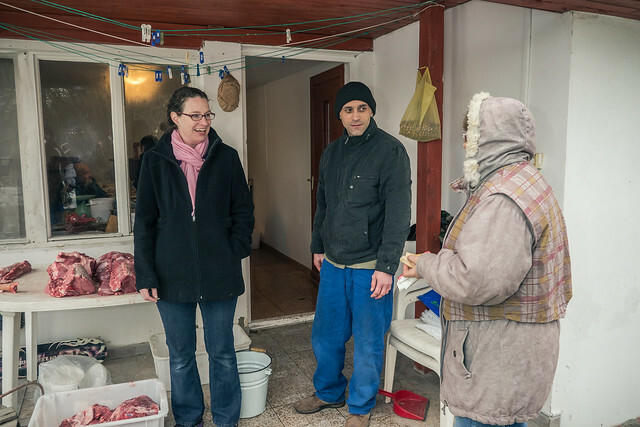 Above: Gyuszi (far right with his wife) is the one who has invited us into his home to study God’s word. 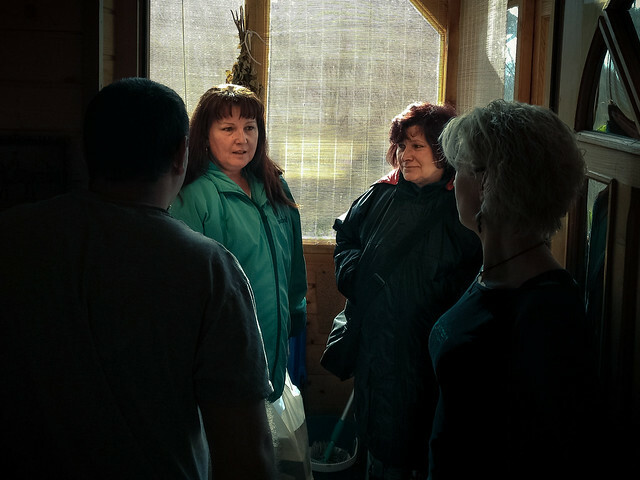 Robi (far left) is Gyuszi’s close friend, Robi’s wife is in the center. Babi, Gyuszi’s sister is the one we are praying for. Gyuszi’s son is pictured next to her. When we arriving this past week in Gyuszi’s house, we were met with the news that Vali the elderly woman I had prayed for last week (and throughout the week) had died. I expressed my condolences and Robi, the young man who had the most heated questions last week said, "Maybe it was God's will so that she could be spared from more suffering." We praise God that there was no anger or blaming God. Because of the custom of spending the day at the deceased’s’ house with family, the majority of those who attended last week were not able to make it. This gave us opportunity to connect in a smaller setting with Gyüszi and Robi and their wives and kids. We spent time talking about life over hot potato soup and red wine. Robi shared some tough times he had to go through in life including digging through trash to find food to survive with his family. He also shared a vision that instills fear in him to this day. He tried to explain to me the weight of guilt he carries around that he has found no relief for and has wondered how to be forgiven. He wanted to know how one could finally have the confidence to forgive himself for all the evil they did in life. I told him I could not forgive myself until God first forgave me through Jesus Christ. Robi began asking why Jesus Christ had to die and wondered why God couldn't have found another way to protect us and save us. This opened an opportunity to explain the justice and mercy of God. 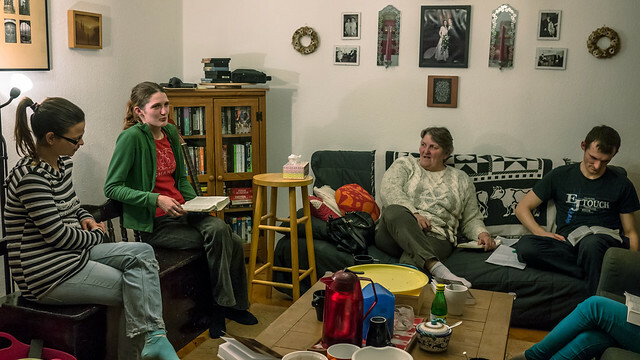 As we transitioned to our time of Bible study, Robi remained more of a skeptic bombarding the time with questions not much related to the text. However, by God's grace we were able to get back to Scripture and it was clear that God was revealing various truths about Himself and mankind to them through the study. Robi's wife and Babi seemed to be getting what God's word was saying and even spent time defending God's truth as Robi continued asking questions. At one point, Gyüszi's son began reading nearly an entire chapter about the fall of Adam and Eve while everyone payed close attention. Each one was able to say how God's word personally applied to there lives at the end of the night. I closed with prayer for Babi (bah-bee). Earlier in the day while praying, I sensed that God wanted me to place my hand on her face when I prayed. While doing this, Peti told me that Gyüszi was shocked. God was revealing His love through this act of mercy and prayer. Babi said that others think that she is so strong because of the multiple surgeries she has gone through and her positive attitude. She said, "They think I'm so strong, but I'm not. It is God who has given me strength." Robi, although the most outspoken and resistant throughout the night says that he feels like he has known me for years and that he has shared things with me that he hasn't shared with others in his life. Before leaving, he began talking about his amazement of I ended up in Bogacs talking to them about God. I encouraged him again saying, “God is seeking you, God loves you, God is giving you an opportunity to know Him, to repent and to be saved by Him.” Although Robi is the toughest with words and questions through these past two meetings, I sense that he is getting the message in his heart. Please continue to pray for Peti and I as we return again on Tuesday! Please continue to pray for healing for Babi and for God to give them understanding as we read His word together. Above: The village of Rozsaszentmarton lies in the hills just a five minute drive away from our hometown of Petofibanya. Please join us in praying for this town as our Hungarian partners in ministry plant a church there. On Friday of next week we will re-launch our English club that introduced us to many new people in the town. Tonight, I ran into one of them named Pali at our kid’s school. He was excited about attending English again. Before leaving, I asked if I could pray for him in any specific ways. Pali looked at me and said, “Allen, everything, all of me. There’s not enough grace to forgive me for all the things I’ve done.” Please pray that Pali would come to understand that Jesus’ blood is powerful enough make him clean. Pray that God would draw Pali to Jesus! 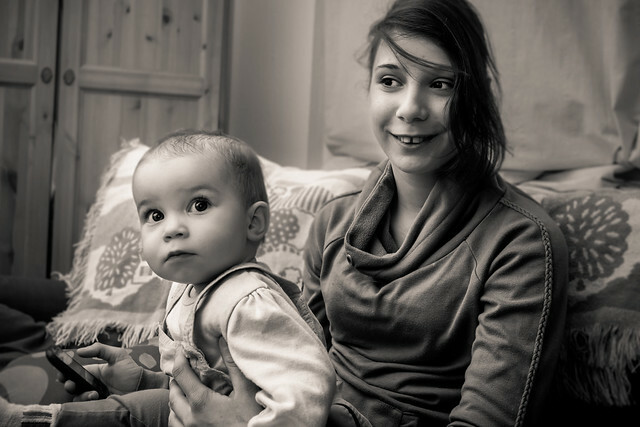 Above: Fanni spending some time with Ziva before our study began on Thursday night. Because of a tough home situation, we made an agreement with her family’s social worker to have Fanni over for school study time and just general family time. We praise God that her grades have gone up and she has the larger family of the church now caring for her as well. Above: Praise God that Peti’s sister Gabi (green sweater) came to our bible study for the first time after being invited by Peti last week. It was clear that she felt welcomed and also learned from our study on Jesus’ parable about “some who trusted in themselves that they were righteous, and treated others with contempt.” (Luke 18:9) With her husband being a Romani, she shared how she has personally experienced this contempt toward her and her husband. She said it’s been hard for him to find anywhere where he is accepted and not felt judged. Peti has already had good conversations with Gabi’s husband and we hope that he too may find that love and acceptance from Jesus and our church. We hope that he will also come for the first time soon. Above: Teammate Roger leading our English Club in Petofibanya’s public school. We already know so many of these kids from past summer VBS camps. We’re grateful for the opportunity to bless them throughout the year. In Hungary, the kids had ‘Farsang’ which has similar customs as Halloween in the US (exempt the part of going house to house to ask for candy). 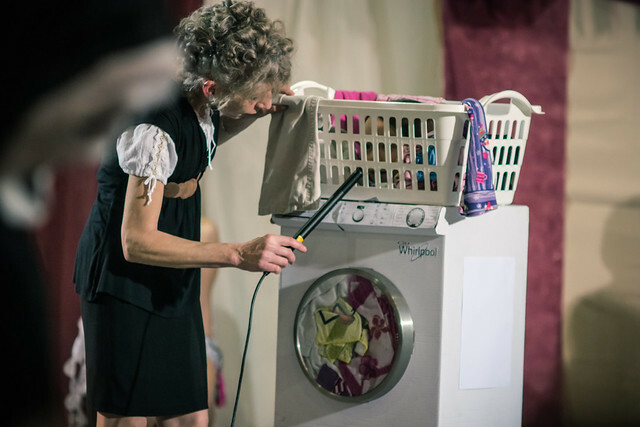 Above: Elianna in her washing machine costume took away first prize in her class. Her head is buried behind all those clothes in the basket. 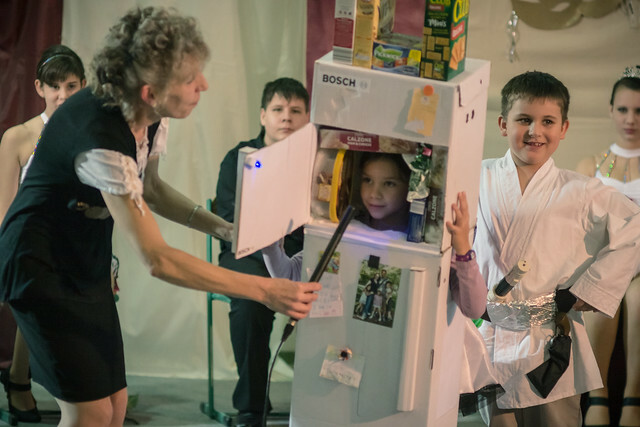 Above: Continuing with the appliance theme, Kira was a refrigerator for Farsang and also scored first prize in her class. Above: Ziva excited as she is surrounded by kids in crazy costumes. • Pray for Peti and I as we return to Bogács (boe-gah-ch) on Tuesday! Please continue to pray for healing for Babi and for God to give this household understanding as we study His powerful word together. • Pray for Gabriella’s boyfriend to be awakened in his soul and come to Bible study (like his wife for the first time) on Thursday. Pray for more opportunity for Peti to talk with him throughout the week about Jesus. 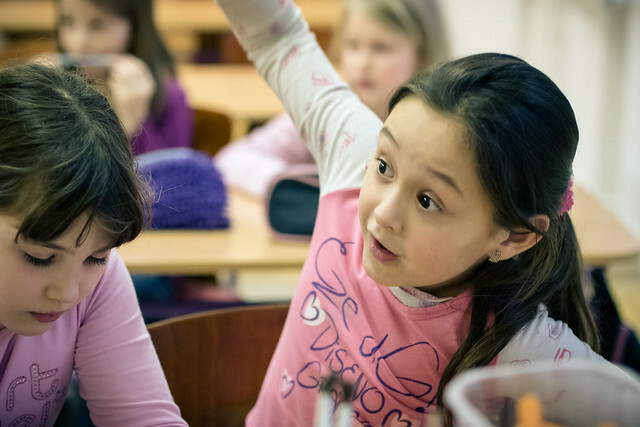 • Pray for the relaunch of our English Club in Rozsaszentmarton on Friday. Pray for students like Pali who don’t yet understand the power of God’s grace and the salvation available to them through Jesus Christ. Pray for open doors of opportunity with students who attend. Thank you all for joining us in this ministry through financial support and prayer support. We’re thankful for all of you! 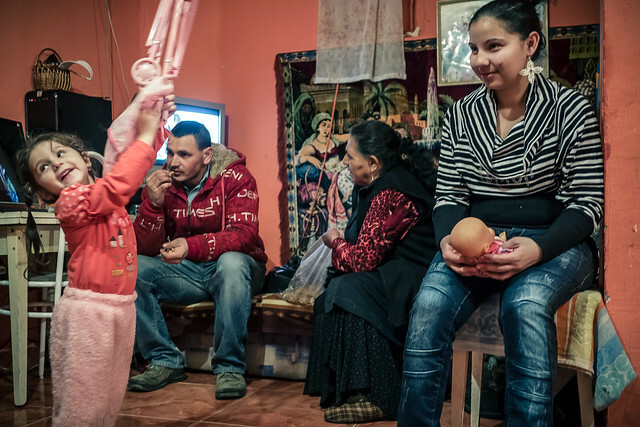 Amazing open door with the Romani (Gypsy) people in Hungary! Last week God impressed on my heart to call a young man named Gyüszi (juicy) who I met 6 months ago when shopping for a car trailer. He lives an hour away in a village called Bogács. Since we talked about it previously, I asked if I could come to his home and study the Bible with him, his family and friends. Amazingly, after six months of not hearing from me, he said he had been waiting for me to call again and visit his village. Last week, I traveled with my friend Peti who I've been mentoring over the past year to Bogács not knowing what to expect. When I entered Gyüszi's home there were thirteen people waiting to hear about God! We talked for three hours and they invited us back to hear more next week. The group is mixed with a few who are skeptical, others who are just listening and others who seem very open and trying to make sense of it all. Gyüszi told me as I left, "Sorry this place was so small, next week we'll meet in a larger place because there are more who want to hear about this." I truly believe that it is God who has initiated this work as he brought Gyüszi to my mind and opened a door to Gyüszi's Romani family in Bogács. Praise Him! 1. For the miraculous healing of Babi (Gyüszi's sister) and Vali an attendee’s mothers who is dying in the hospital. Pray that through these healings Jesus would reveal that He is the living Son of God. 2. For our next meeting to transition to a focus on discovering who God is through Bible study. That God would give them understanding and reveal Himself to them through the Holy Spirit. 3. For the salvation of Gyüszi and his entire household! 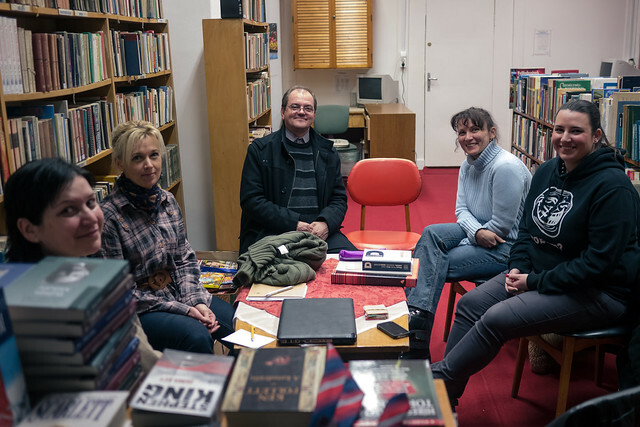 Above: New friends Mariann and Mónika who have been meeting with us studying the foundations of our Christian faith to prepare for their baptism. Mariann was saved through reading God’s word outside of any ministry or any church setting and sought us out after she was convicted that she needed to be baptized. We praise God for even more evidence of His mercy and grace continuing to be poured out on those in Petofibanya. Please pray for these women to have a firm foundation in understanding the gospel and that their lives would impact many in their spheres of influence in town. Above: Because half the class was on a field trip, we had a smaller number of kids for English last week. As you can see, the kids love the class and are anxious to practice even as beginners. 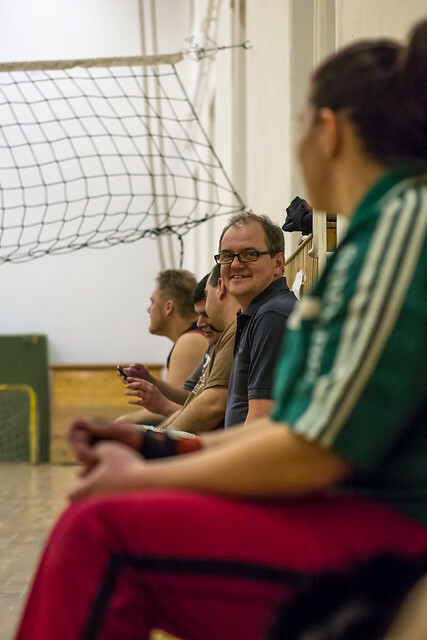 Above: Dezso, Hungarian church planting partner waits on the sidelines for his team to rotate in. 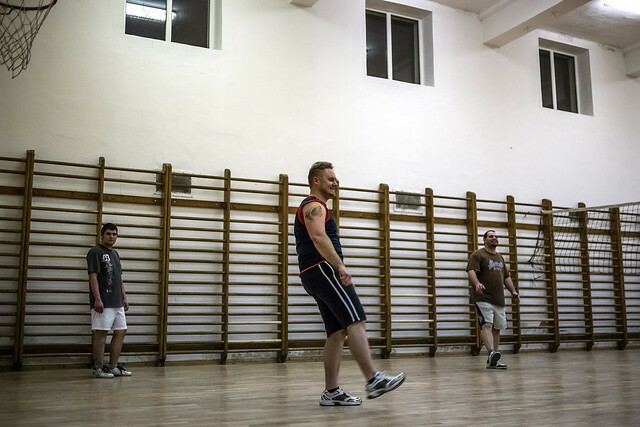 Above Center: Tibor, invited by a friend, has become friends with us and enjoys attending every week. With a desire to reach out to Tibor, Dezso shot him a private message on Facebook asking what he thought about a passage taken from Genesis 1 and the creation account. This opened up a good back and forth discussion as Dezso simply shot questions back to Tibor with each reply. In the end Tibor said that after reading the account he has reason to be thankful being created by God. Our hope is that these moments of intentionally sharing God’s word would lead to more questions and more study and finally understanding of the need of salvation in Jesus Christ. Above: Ziva is getting more confident each day walking. She loves giving her sisters big hugs and kisses.